Read about the many ways Russell & Lazarus have successfully resolved their clients’ accident claims. While these results are never guaranteed for other cases, these case results will show you the importance of hiring an experienced law firm that handles only personal injury claims. How much compensation should you ask for? If you have been injured in an accident due to the fault of someone else, you may be entitled to collect damages. Personal injuries can have a severe impact on your life and affect your ability to work, enjoy time with your family, and even perform basic life functions. Going through a personal injury can be stressful and difficult; for this reason, you will want to work with an experienced Orange County injury lawyer. If you would like an idea of how your specific personal injury claim could end up with a positive result, contact the attorneys at Russell & Lazarus today at (800) 268-9228 for a complimentary case evaluation. 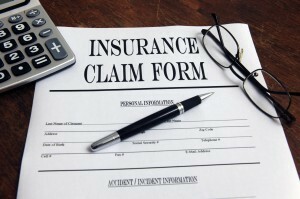 There are several different ways you can win a personal injury case. For example, an Orange County injury attorney can help you show that the defendant was negligent, reckless, or violated some law or regulation. Proving the elements of a personal injury can be very fact-specific and may require investigation. Generally speaking, however, it is necessary to show that the defendant owed a duty of care, that he acted in such a way to violate that duty, and that as a result, you were injured. For instance, if you are struck by a motorist while crossing the street, the defendant owes you a duty of care because in California pedestrians generally have right-of-way even when no crosswalk is marked. Your Orange County injury attorney will need to show that your actions did not contribute to the accident, such as running out in front of the vehicle in the dark. There are many reasons you will want to work with experienced counsel. Given the stress of filing a lawsuit, your Orange County injury attorney can provide you guidance and handle the difficult communications with insurance companies and opposing parties. Your Orange County injury attorney will also know how to build a case and will know how to create the best team to get you a winning result. This can involve hiring investigators, expert witnesses, and even working with your doctors. Because an experienced Orange County injury attorney has been through this process many times before, he or she can provide you with realistic expectations. Your attorney can also manage negotiations with opposing parties and get you the settlement you deserve. If you would like help getting a positive result for your California injury claim, contact an Orange County injury attorney at Russell & Lazarus by calling (800) 268-9228 for a complimentary case evaluation.